This poem was written a few months ago for an Instagram poetry prompt. However, for one reason or another, this was not posted in my instagram wall. I am linking this now with DVerse Poets’ Open Link Night. 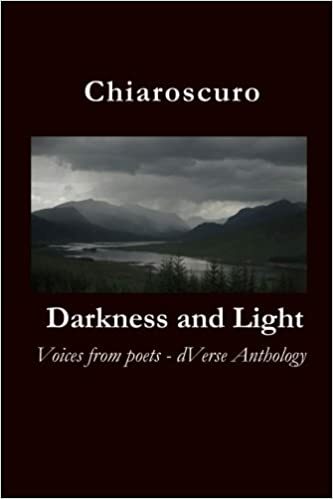 And speaking of the Pub, I am happy and proud to announce that DVERSE’ Anthology, Chiaroscuro, is out already and available for sale via Amazon. The book includes works of the habitues of the pub. I am honored to say that two of my works have been included in this book. Much thanks go to Bjorn Rudberg and Grace Guevarra (I am sorry if I have forgotten anybody else) for the work that they put it to put the book together. I feel the thorns is what we can get this season… but remembering the flowers make it possible to overcome I think. Beautiful and sad, Imelda. I hope your holidays find you well. Best wishes. May your prayers be answered. Congratulations on being accepted in BeZine. It is the first time I’ve heard of the publication and I am now following it. I hope your prayers are answered soon Imelda. I too hope the holidays find you well. Beautiful and very moving. Congratulations on quite an accomplishment! Absolutely beautiful and thorny like the rose! Good to know about your publications and must get on and buy the dverse anthology.